Too many curves to count! We will start by heading towards Lake Burton, up the west side of Burton then on to Clayton for a short bathroom stop. We turn North on to 23/441 to Dillard, take Dillard Road to 64 to Highlands and across to Cashiers for our lunch stop at The Randevu Restaurant. After our lunch stop, we head to Gorges State Park for a bathroom stop. 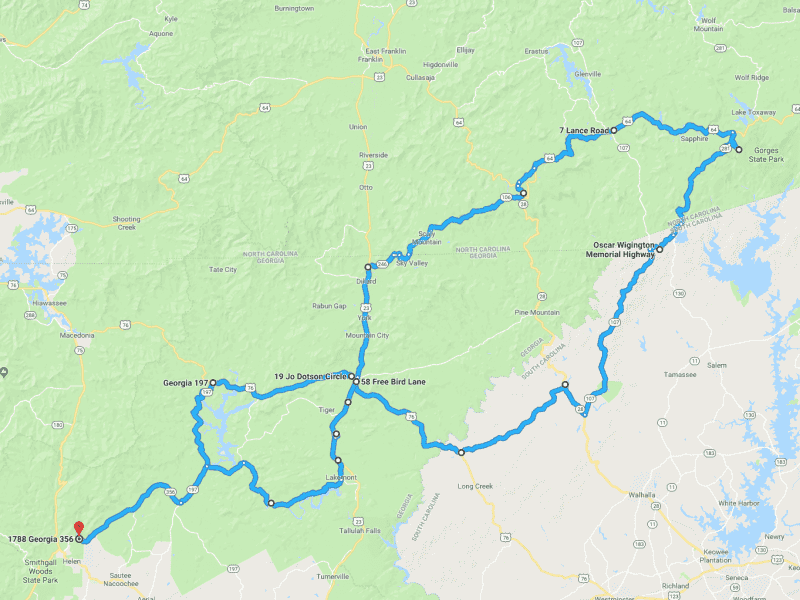 South on NC281/SC107, then up to Mountain Rest and across Chattooga Ridge to US 76 thru Chattahoochee-Oconee National Forest to Clayton. South on US23 to the last bathroom stop, across Lake Rabun Road to Lake Burton and back to Unicoi State Park. This drive is limited to 12 drivers. 10 have signed up already.